Please be informed that UNHCR has conducted the interviews with the survivors on board. UNHCRs senior legal adviser will be sending his findings to his head of unit tomorrow at 09h00 Geneva time. 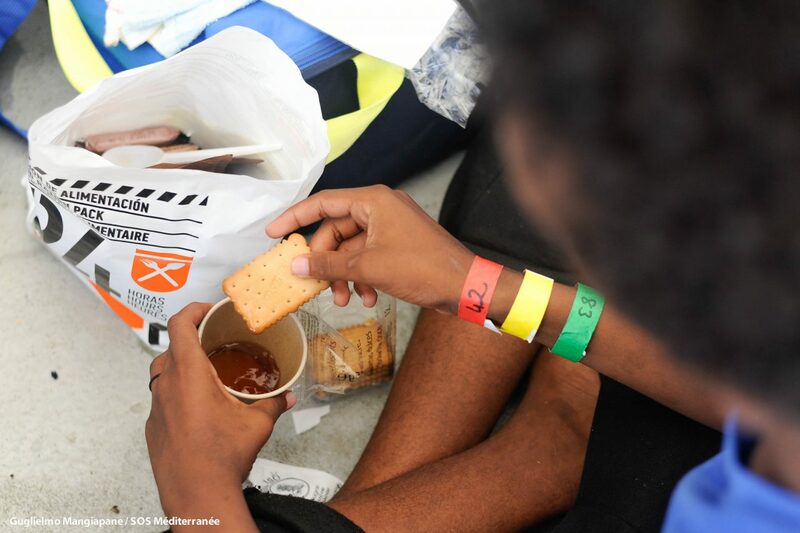 The situation on board remains stable and we will remain near our standby area within the Tunisian SRR. We will continue to update this RCC with any developments. I understand that you intend to carry out some remote interviews with the survivors on board the Aquarius and offer some guidance to the ship as regards their special circumstances. I fully appreciate your support and I am ready to facilitate the interviews from tomorrow morning upon request. Please can you detail the process so we can explain it to the rescued people? 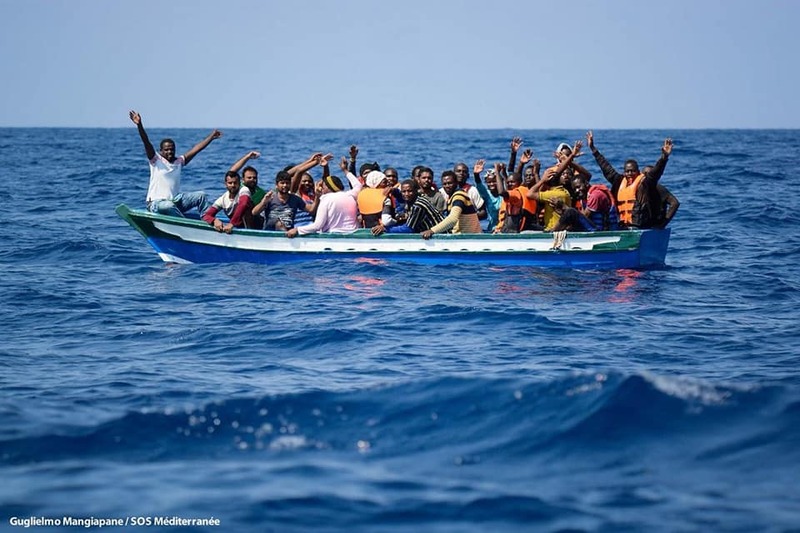 The United Nation High Commission for Refugees has confirmed that they are sending representatives to conduct interviews with the survivors on board the Aquarius. We have not heard when this will happen. We believe that they are in contact with Tunisian authorities. We are still concerned that returning these survivors to their home country would be a breach of international refugee law, and we believe that the guidance of UNHCR is important to find the appropriate outcome. Thank you for coordinating this event and I hope we can find a quick and suitable solution. I acknowledge receipt of your email of 13:34, 12:31 and 11:35. My current position is 37 46.8N 010 43.3E and I keep standing-by in this position. The vessel P610 is close to my position and I am in VHF contact with it. Please be advised that all 5 survivors have stated a real fear of being returned to Tunisia and have declared their intention to seek asylum. We are concerned that returning these people to Tunisia could be in breach of international refugee law. We are currently seeking guidance with UNHCR regarding this matter who have already informed us they are willing to support the situation and are we awaiting their further instructions. For your information, the government in charge of the designation of a place of safety where the survivors will disembark from the assisting ship (M/V Aquarius) should take in consideration “The need to avoid disembarkation in territories where the lives and freedoms of those alleging a well-founded fear of persecution would be threatened is a consideration in the case of asylum-seekers and refugees recovered at sea.” (IMO Resolution MSC.167(78) Art. 6.17). We will need some time to be able to clarify these point and to be able to explain to the 5 people on board the situation. Aquarius is configured for Search and Rescue and we are not in any way capable or willing to forcefully put someone on another vessel against their will. Please allow us the time to come to an understanding with all parties before proceeding. In this regards, I kindly ask you to keep the vessel P610 in standby, the time needed for this clarification. As per your request, we’ll keep this RCC informed. Thank you for your cooperation. MTJRCC informs Aquarius that the AFM “is conducting a search inside its area and despatched its own units.” Requiring Aquarius “to keep a clear and safe distance off the boat in case of sighting, observe without interception, and report to this RCC on the situation”. Maltese RCC replies to Aquarius’ email by stating that it is not the appropriate and competent authority to designate or make the necessary arrangements for a place of safety. 3.1.1 Parties shall co-ordinate their search and rescue organizations and should, whenever necessary, co-ordinate search and rescue operations with those of neighbouring States. 3.1.6. Each party should authorize its RCC: 4. To make the necessary arrangements in cooperation with other RCC to identify the most appropriate place(s) for disembarking persons found in distress. Following the instruction of the Libyan JRCC to “contact another MRCC and ask for place of safety“, Aquarius requests the assistance of the Italian MRCC and Maltese RCC in finding a place of safety where all survivors can be disembarked as soon as possible. Please be informed that Aquarius carried out 2 rescues under the coordination of JRCC Libya within the Libyan SRR. JRCC Libya has ordered Aquarius to contact another MRCC to coordinate the disembarkation of all rescued people in a place of safety. Aquarius is requesting your assistance in finding a place of safety where all survivors can be disembarked as soon possible. Please find attached a copy of all communication between RCC Libya and M/V Aquarius plus the data regarding the survivors. 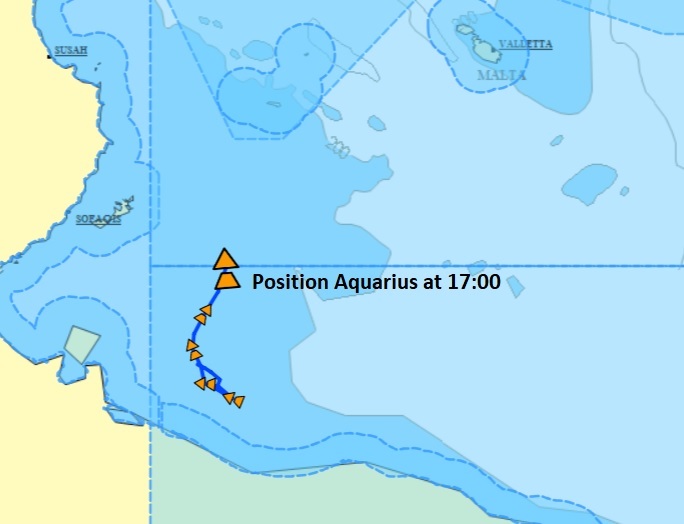 Aquarius will alter course to the North tomorrow in order to approach an eventual port for disembarkation when it is designated by a competent maritime authority. 3.1.1 Parties shall co-ordinate their search and rescue organizations and should, whenever necessary, coordinate search and rescue operations with those of neighboring States. Aquarius calls another of the LYJRCC numbers provided on GISIS, no reply. Aquarius reports to the Libyan JRCC about the situation onboard and asks for further guidance regarding the designation of a place of safety. As requested, Aquarius provides to the Libyan JRCC the list of rescued people on board the vessel. The breakdown details the gender, age, nationality and vulnerabilities of the survivors. In an email, the LYJRCC requests Aquarius to provide the number of rescued people onboard and the number of women, men and children. It also instructs to wait for instructions from Libyan JRCC. Aquarius calls the Libyan Coast Guards by VHF on distress channel 16, no reply. Aquarius calls Italian MRCC to inform about the visual of the wooden boat and that Libyan authorities do not answer. 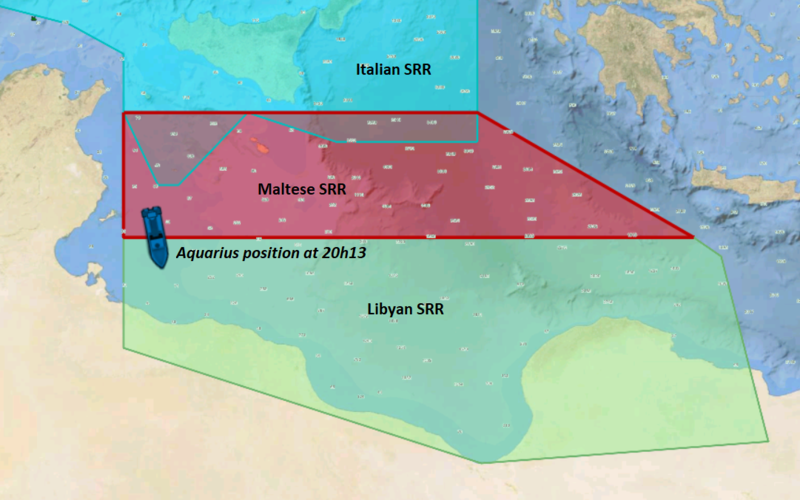 Italian MRCC informs that Libyan authorities are coordinating. The RHIB of Aquarius started to evacuate the boat in distress and transfer the survivors into the Aquarius for medical assistance and registration. 2 rescue RHIB launched at sea to provide assistance with rescuers and medical team onboard. All team ready on deck to take in charge the survivors. Massive floating devices ready on deck in case of emergency. Aquarius sends email to Libyan JRCC, copying Italian MRCC, Maltese MRCC, Tunisian RCC, EUNAVFOR med, informing about a “distress case requiring immediate assistance”. Aquarius starts an expanding square search pattern.